A charitable bequest is a simple, flexible and versatile way to make a planned gift. 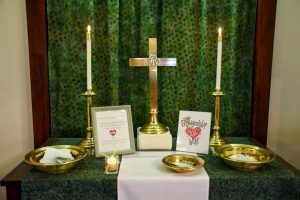 By including RCC in your will or living trust, you will help ensure that Richmond Congregational can continue its mission long into the future. There are many ways to make an estate gift so it is wise to contact your attorney about this process. Bequest gifts can be for an exact amount or a percentage of an estate. The latter can be very useful when planning your estate to help both family and the Church. When you include Richmond Congregational Church in your plans, please use this sample bequest language, which includes our legal name and our Federal Tax ID number. Next Step: Contact your attorney to update your will or trust. Contact RCC to let us know of your intentions.